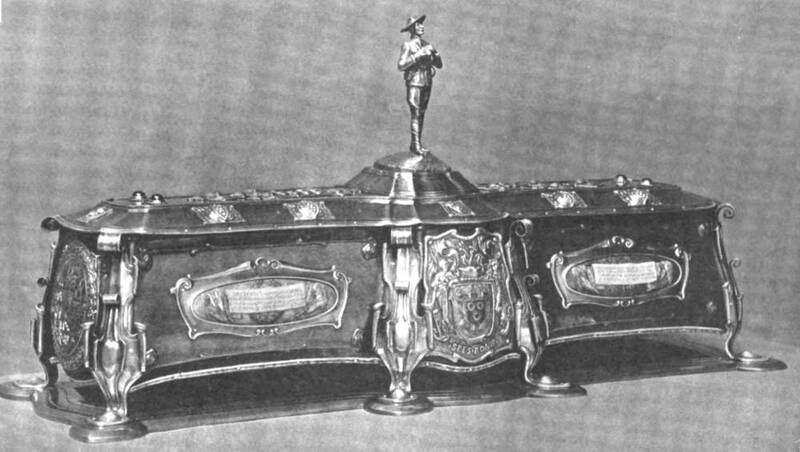 Casket Designed and executed by Nelson and Edith Dawson. c. 1901. Source: International Studio. Click on image to enlarge it. “Studio-Talk.” International Studio. 10 (1901-1902): 271. Hathi Digital Library Trust internet version of a copy in the Cornell University Library. Web. 14 October 2017.